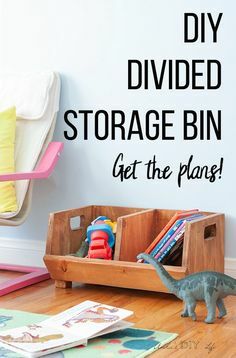 Now that the playroom makeover is getting wrapped up in the coming week or two, we figured we’d go ahead and share some big plans for our next DIY project. It’s going to be a BIG one! Robert, Olivia, and I are SO overjoyed that a little one will be joining our crew in the fall! We’ve waited so long for this to happen that we couldn’t stand holding off any longer to spill our news. So if things look like they’ve slowed down a little bit around here on the blog or on the Bless’er House social media, it’s because I’m stocking up on naps while I still can. This bean sprout is already wearing me out. We can’t thank you guys enough for all of the love and encouragement y’all always give us to keep us moving and grooving in this house and in our family adventures, and we can’t wait to share this next chapter with y’all too. Now next on the DIY to-do list: Pick out the perfect blue and pink paint shades to see which one we’ll be using in a few weeks. Congratulations! Hope the pregnancy treats you well! Don’t worry too much about the evening out between siblings, watching the interaction between our 2 kids are priceless! Wishing you all the best! Yay!!!!!! SO excited for you guys!!! Praying for a safe and healthy pregnancy for you! I’m waiting on our second son to be born any day now! So I’ll be learning about the whole sibling dynamic right along with you! Can’t wait to watch the process of your family growing! Wishing you the best in this pregnancy. Congratulations! Very excited for your family! I love your overalls and have to ask, where are they from? Congratulations!!!! I am so very happy for you and your family! ?? Congratulations!!!!! I am sure this baby will be born with a paint brush in one hand and hammer in the other. Excited to see the new room makeovers. Congratulations! 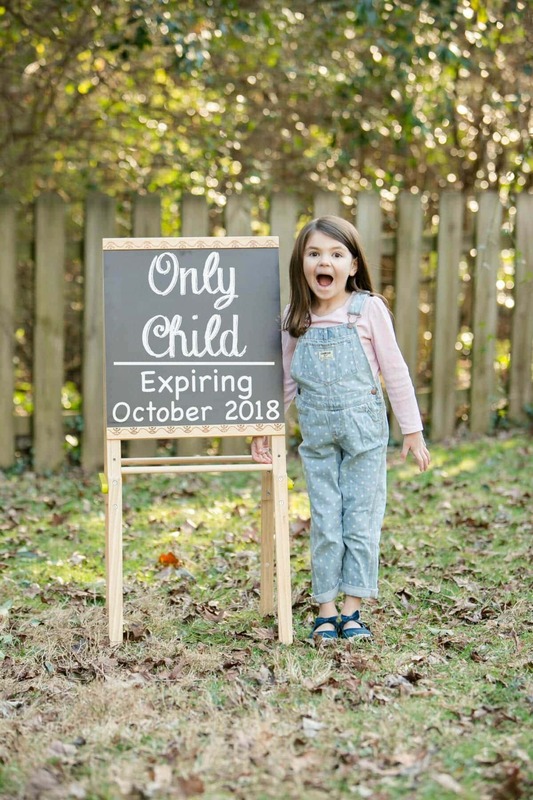 Olivia will be a super big sister! CONGRATULATIONS!!! So very excited for you and your family!!! Congrats on your upcoming addition. Blessing and love! Oh I SO knew you were pregnant! I have been seeing all those nursery ideas popping up on your Pinterest and I was like “she can’t hide this secret much longer!” So excited for you!! Such an exciting time for your family! Congratulations! Congratulations! What a great shock this morning! I KNEW IT !!! I KNEW IT!!! Congratulations to the whole Gentry/Shaver family. Lucky baby! Yay!!! Cousins are fun! YAY!!! Congratulations! EXCITING!!!! CONGRATULATIONS!!! 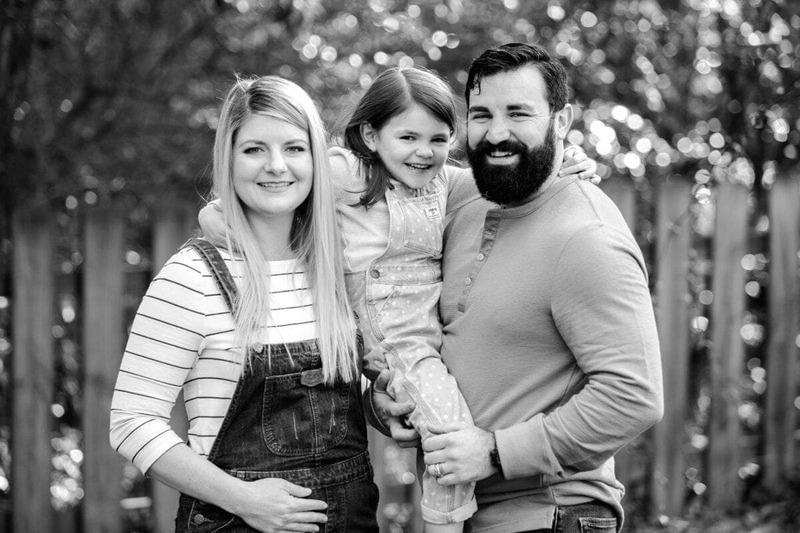 I’ve been following your blog for quite a while now, and it’s beautiful to see how your little family is just so full of love! Congratulations!!! Best wishes for an easy pregnancy and delivery. Keeping you in my thoughts. Congrats on the new baby!! That will be quite a big project! So happy for y’all! YES!!!! SO excited for your family!!! Congratulations Lauren! This makes me so excited! I hope you’re still feeling well! I’ll be praying for you during this journey 🙂 YAY!! Congratulations!! That’s so exciting. Wishing you a healthy pregnancy! Congrats on this sweet blessing. So excited for you guys! How wonderful!! So incredibly happy for your family!! This is a blessed baby!! Congratulations!!! So happy for you, Robert and Olivia!!! She will be a great big sister!! Great news, wishing you much happiness! Loved the last picture!!!! I laughed out loud! Too Cute!!!! 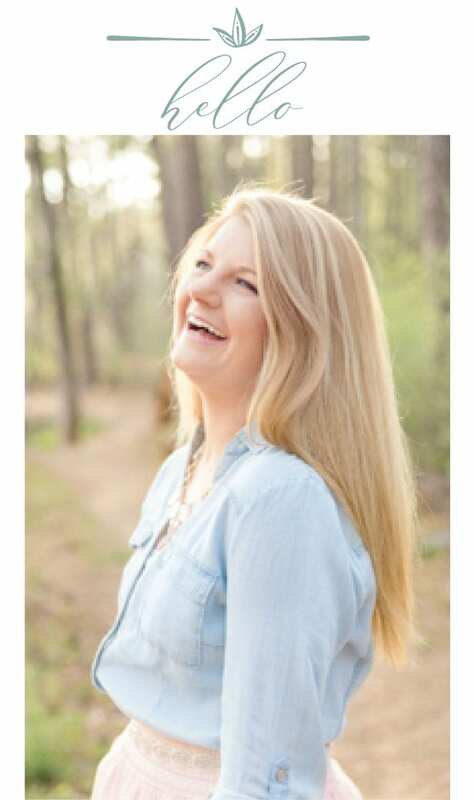 I remember reading in a former post of yours that you didn’t know if you would ever be blessed with more children or not and my heart was heavy for you. God is good. So wonderful to hear your amazing news. Congrats! Congrats! Love every part of the announcement! So exciting! Congratulations! I am so happy for you. I love your sign, lol!! Congratulations!! What amazing news. I hope you have an easy pregnancy! Awe! Congratulations Lauren! I had a feeling you were pregnant. You’ve mentioned wanting to have another here and there and things have been quieter. I’m so overjoyed for your family. Olivia is going to be an amazing helper! Congratulations! Great pictures too. 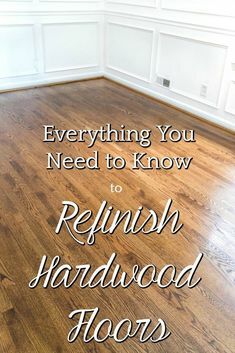 Looking forward to the bedroom makeovers. Congratulations. So happy for you all. ? Praying?? for a healthy you and baby! So very happy for Olivia to be a sister. She will be good for bringing a diaper, putting the pacifier back in the baby’s mouth,singing and dancing to entertain so mommy can go to the bathroom. Get ready for double the love and laughter. Congratulations So glad you are in the new house and have completed a great deal of projects. I assume the kitchen will be completed before baby. Congrats! So excited for you guys. Many blessings. 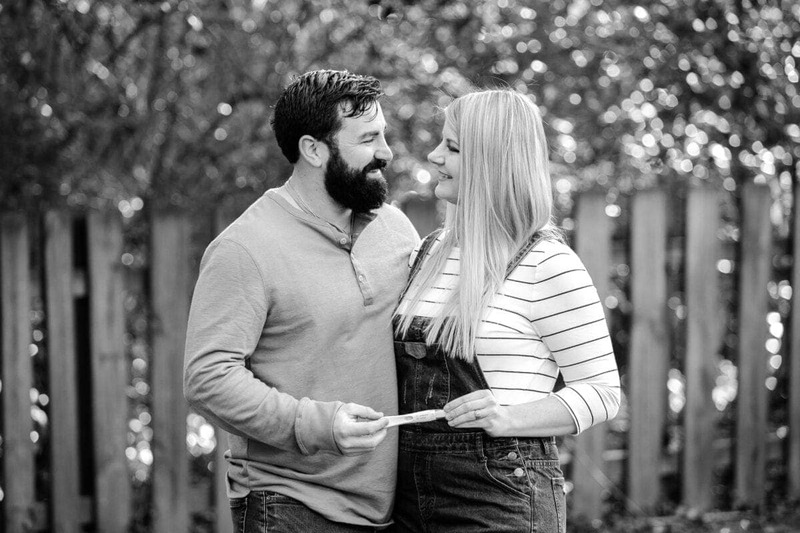 Congrats and very cute announcement pics! Yay! So, So happy and excited for you all! Looking forward to frequent updates! HURRAY!! Bless you as you prepare and as you look forward to becoming a family of four. So very, very happy for you all! Oh my goodness, Lauren; I’ve been a follower and subscriber for months but have never commented. 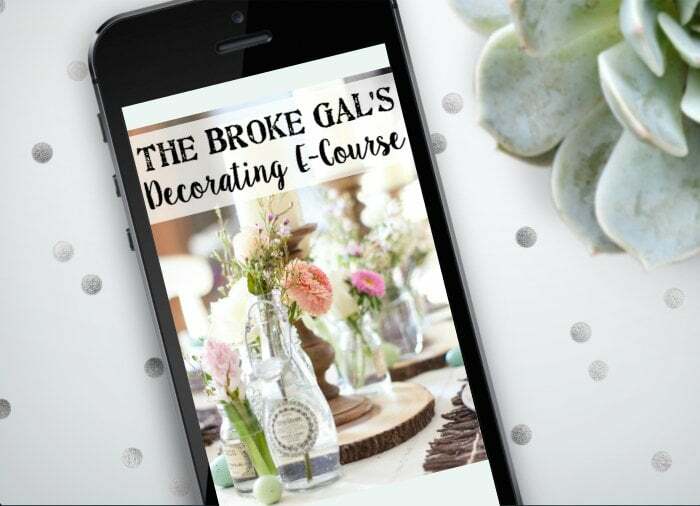 I LOVE your attitude, heart, resourcefulness, and refreshing take on so many decorating and family concepts, especially your clever announcement of your pregnancy news. Just had to finally comment and tell you 1) Those are the most adorable family photos I’ve ever seen, and 2) When I reached the last one, I burst out with THE biggest, snortiest laugh you have ever heard! (And I’m a “legit” Christian. Used to even consider myself of the “conservative strain”, but haven’t for awhile now. I think this proves it ?) The happiest of congratulations and blessings on your family! Such a blessing! Congratulations to you all. So excited to see the new rooms! Yay!!! How exciting and congratulations. So happy for your sweet family! Olivia will be the best big sis ever! Congratulations!! Hope your pregnancy is a breeze! Congratulations from Vermont! Wishing you a great pregnancy. So happy for all of you! Wonderful post!!!! My heart sings for you all!!! Congrats……..
Congratulations from Missouri, so very happy for you and your family! The pictures are great and it’s obvious how happy and excited you all are! Congratulations from the great state of Maine! So excited for you guys! One of my most favourite things, is watching my Olivia nad her brothers relationship develop. There is nothing quite like a sibling bond. Looking forward to seeing what you come up with for Olivia’s big girl room and especially your nursery. Wonderful news for such a nice family. I really injoy your blog! Congrats Lauren & family! So happy for y’all! Remember, I’m just around the corner in Charlotte if you need a quick Grandma babysitter – ha!!! I am SOOOO happy for you!!! Congratulations! Oh my goodness!!! I am SO happy for you!!! 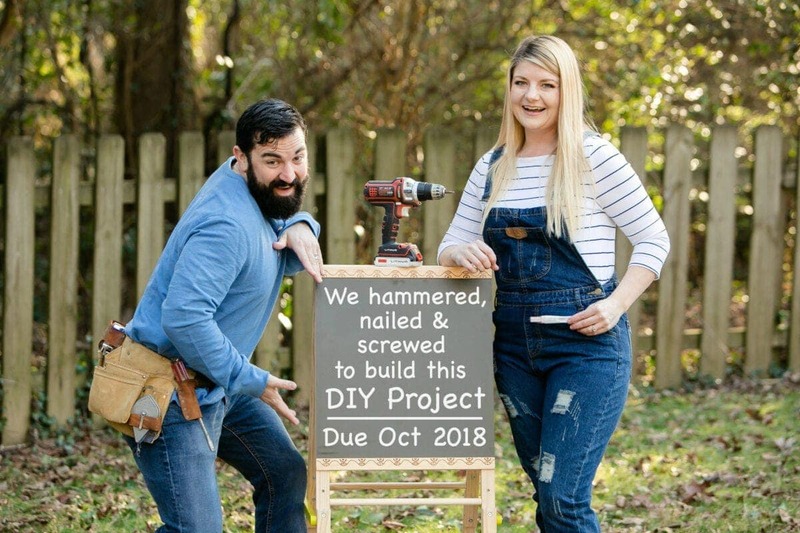 My husband is a carpenter, so I loved your dyi sign!!! Congratulations to you!! Woohoo!! Congratulations! That’s so exciting!! Congratulations! So excited for you & your family. Congratulations on your new little blessing! Praying for a happy, healthy pregnancy!! Sooo happy for you all! What wonderful news! So happy for you, Robert and Olivia! Blessings! Congrats to you, Robert & Olivia!!! What an exciting adventure ahead!!! And I LOVE the humor in the funny DIY picture!!! Too cute!!! Love the humor ! Blessings to all of you ! Our daughter wanted a Sister so bad. She also got a new room. Of course when her brother got here she was very happy and loves him dearly. They are four years apart. Her words “I really wanted a sister but I guess we will have to keep him”. LOL. Wishing you the very best. I wish you all went well! From a long time reader: CONGRATULATIONS! What wonderful news! Thank you for the kind words and being a long time reader. I appreciate you! 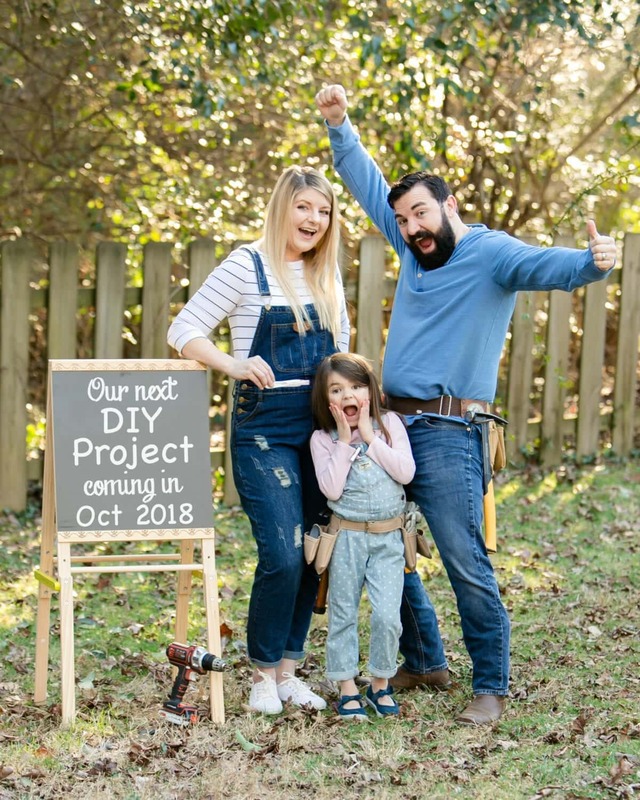 Awww… so happy for my favorite DIY family!! Looks like the PERFECT project to me!! All God’s BEST blessings to you all!! ? Congrats Lauren, Robert & Olivia!! How exciting and what a great year 2018 is really becoming! So happy for the 3 of you as you prep for the arrival of your new addition! Can’t wait to see what you do from now till then and the pictures we hope you reveal of your bundle of joy! So excited for you! Congratulations to you all! And I simply love the humor! Congratulations to all of you! 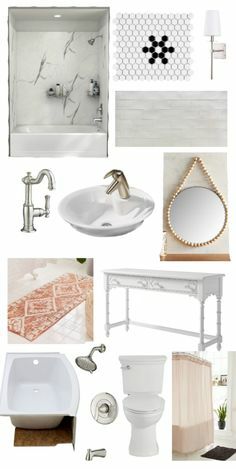 Enjoy your blog so much and can not wait to see all your future DIY projects including this new addition to your family! Congratulations! Your announcement is hysterical!! Love it! WOW! God has Blessed a wonderful family, and Olivia will be just the right age to accept the little one. I am so happy for you,and for when a baby is born,so are Grandparents!? Congrats!! That is so amazing.You will definitely need to store up all your extra sleep. Can’t wait to see what the little ones spaces will look like. Thanks for sharing. Congratulations!!!! So exciting and such a great way to share the news. Congratulations and continued blessings always!!! Congratulations! Best way to announce it! Félicitations de Paris (France) ! Congratulations to all three of you! What a fun way to share the good news! 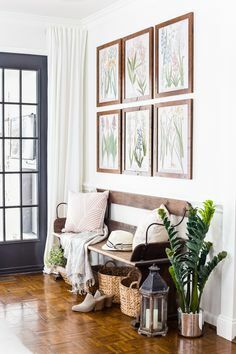 I have followed you for a long time, Lauren, from your last house to this new house, and just love your decorating style. I adored the wardrobe you made over into a reading nook for Olivia, (who is an absolute doll, by the way!) And I made sure to watch for you in my latest issue of Better Homes and Gardens, too. You have a lovely family! You are a very talented lady! 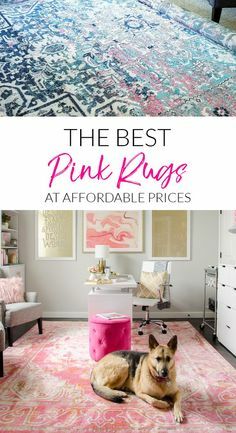 I can’t wait to see what you do with Olivia’s and the baby’s new rooms! God bless and enjoy!! Thank you Debbie for being a long time follower and the very kind words. God Bless you too! Congrats from Coastal NC! Loved that last pic – so funny! Congrats, this great news could not happen to a greater family. He/she are so lucky to be the addition this fall, to a marvelous family. Take care and enjoy these long awaiting nine months. OH HOW WONDERFUL!! I’m new to your blog and love it! Best Wishes for a healthy pregnancy — I’m so excited to share this journey with you!! I LOVE YOUR HOUSE!!! ALL THE WORK YOU HAVE DONE AMAZES ME!! SOOO happy for you! Many blessings!!!!! Such great news! I’m so over the moon happy for you! Thank you for sharing your good news with all of us! Such a fun sense of humor.